In 2013 I started my own company of products made of sheepskin. Sheepskin is a very versatile material, made to hold on the warmth, but also ideal for keeping cold. I wanted to make beautiful products that are sustainably made and functional. The name I came up with is KYWIE® (Keep Your WoolIE). The first products I developed were wine coolers. KYWIE wine coolers are the only 100% natural wine cooler designed to keep all drinks, whether it’s white or red wine, at even temperature. Made of Dutch (Texel) and English sheepskin. There simply is no passive cooler more sustainable and effective. 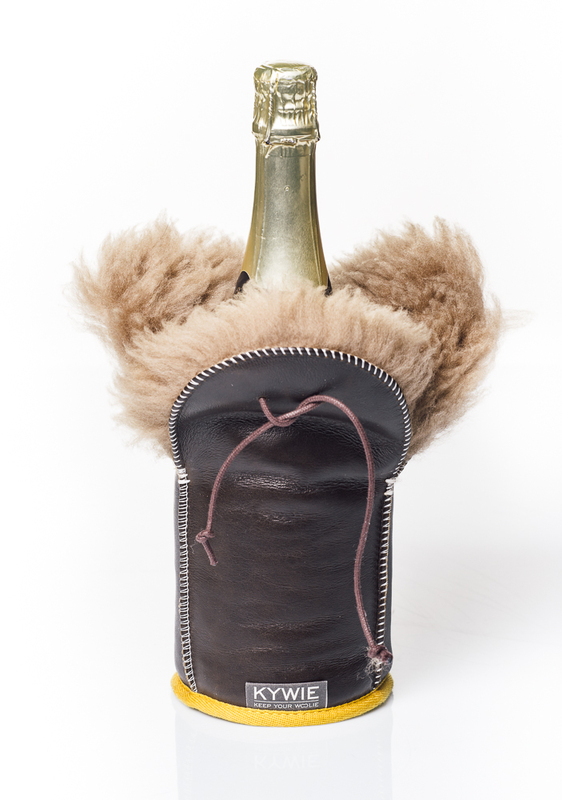 The woolen interior holds on to the temperature of the bottle. For at home or on the go. There are 5 models: champagne, wine and sleeves (for all traditional bottles), demi for 500ml bottles, koozie and key ring (for all 330 ml cans, baby bottles and tea/coffee glasses). KYWIE is sold via the webshop (kywie.com) and several shops in the Netherlands and the surrounding countries. I share my office with Bas of KPOU. He is a friend and helps me with all graphic designs and photography. For more information, feel free to contact me.